After spending a fabulous weekend away in France at a fairytale wedding without the girls, I absolutely couldn’t wait to see their little faces when we returned home on Monday. It’s funny really, we were only away for four nights, but it felt like forever being apart from them. 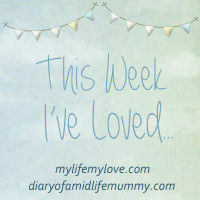 Don’t get me wrong – I absolutely LOVED our little break away (even if I was feeling rotten with laryngitis) – but, I’m not used to really being anywhere without the girls nowadays, they are pretty much my life. As sad as that may make me sound! So anyway, even though we were away for such a short length of time, both Mikey and I couldn’t wait to see them again. When they bounded through the front door on Monday evening, it was perfect. Both the girls whooped and shouted with joy that we were home, and the bear hugs were amazing! Ella wouldn’t let me go! Which I dodn’t mind one bit, and just soaked up all the extra love and attention I’d been missing so much! Also though, Mikey and I couldn’t quite believe the little changes in the girls that we noticed when we got home. I suppose it’s like anything really – if you see it on a daily basis, you just get used to things, and you don’t notice any differences however big or small, but when we saw them again, we were met by two much more grown up little girls it seemed. Holly just seems to become so much more grown up and sure of herself by the day, especially now that she’s started having sessions at ‘big school’ ready for her starting in September. She appears far more confident and is just taking it all very much in her stride, which although it breaks my heart a little as I know she’s growing up, it makes me happy in the knowledge that she’s content. And Ella, well her speech had changed rather dramatically we thought! She came bounding up to us saying ‘Mummy look at my lovely dress’ whilst proudly twisting and turning and swishing it from side to side. She sounded so much more grown up! Her words and sentences seemed to fall into place with such ease. Before, although she has always been pretty great at talking, from rather early on (most probably in order to boss her big sister around! ), the sentences were there but far more ‘bitty’ or – but this just seemed different. 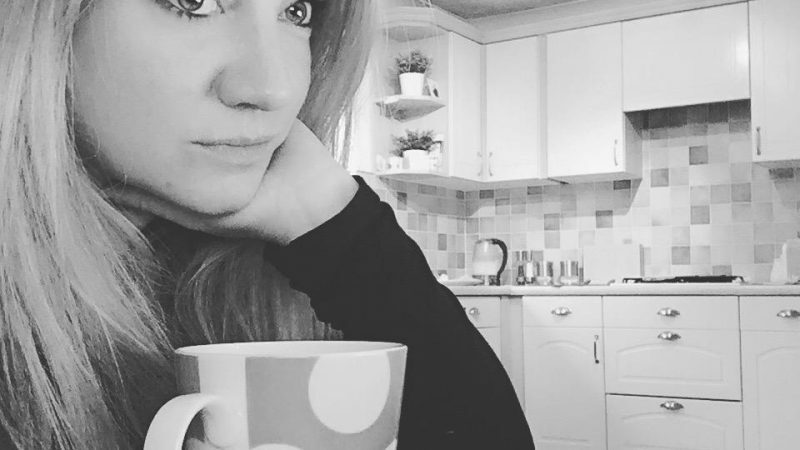 Argghhh – even my baby girl is growing up too!!! And her walking was fantastic. She was running pretty perfectly and her foot didn’t seem to be turning outwards as much as it had done before we left, which is something we are to keep our eyes on after she had her accident. Does it sound silly that I think I’ve noticed this much of a difference in just a few days? 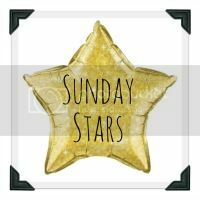 Anyway – I’ve absolutely loved to be back home with them, see their cheeky little faces, witness their tantrums and to soak up their mischievous and boundless energy. And it’s been fabulous with this weather to boot! 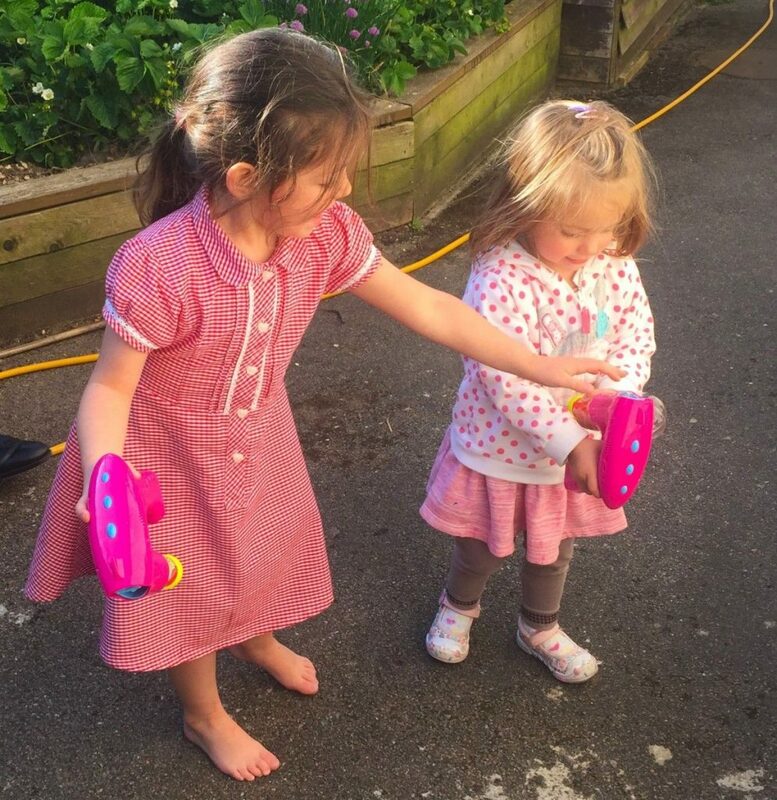 I’ve been off work trying to get better, and the girls have been in nursery and pre-school, but each and every evening when they come home, they’ve been able to strip off and play outside in the beautiful warm evening sun. Ice lollies, I’m afraid, have been a bit of a daily occurrence, but with the heat mixed with most probably that smidge of guilt that we went away and left them, I haven’t cared one jot, and I’m just pleased to be home and able to treat them again. Mikey set up the sprinkler system the other day too, and then we sat back, perched on our patio steps just watching the two of them as they played, bickered and giggled as they ran around playing in the jets of water. 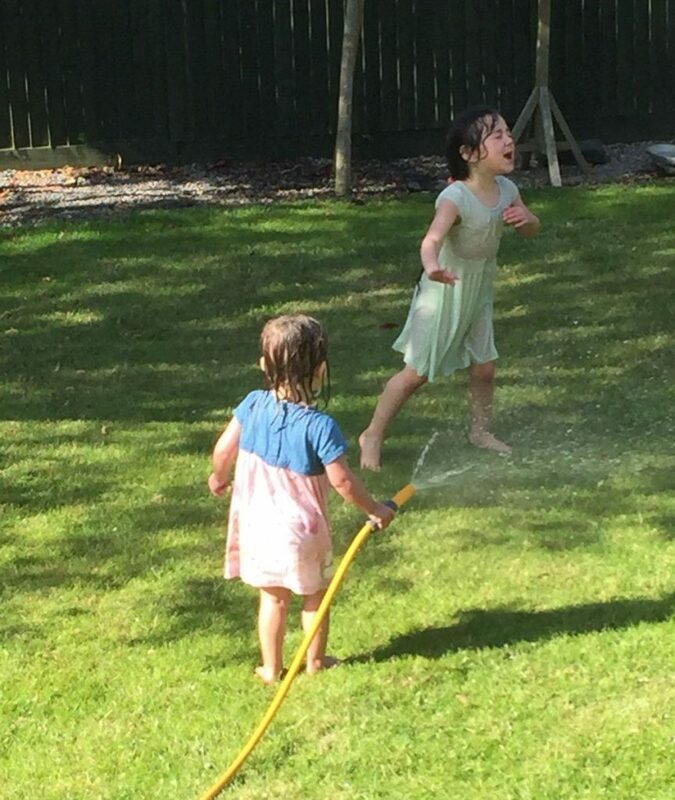 And when the sprinkler’s not in action – they just make do with the hose! I’m afraid I do have photos but they aren’t really ‘postable’ due to lots of bare bottoms!!! The girls mind, not Mikey and I! So I suppose this week I’ve loved two complete opposites, precious and much needed time spent away from the girls, with just Mikey and I, but equally, being back with our beautiful girls. We don’t get to go away often, which I must say makes it all the more special when we do, which in turn then makes us realise just how lucky we are when we return to our lovely family too. 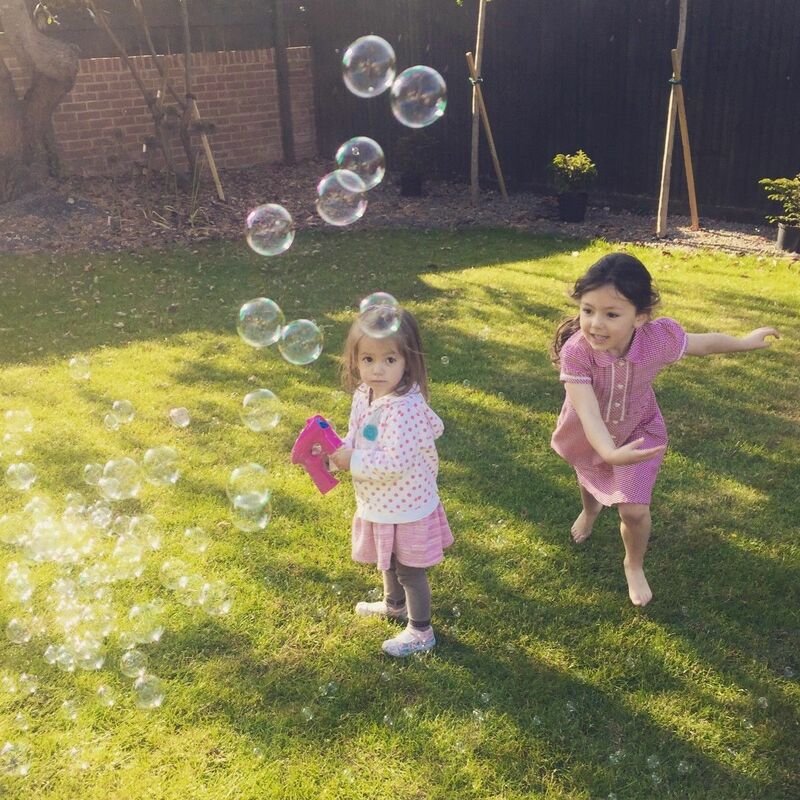 Claire recently posted…Summer is Here! 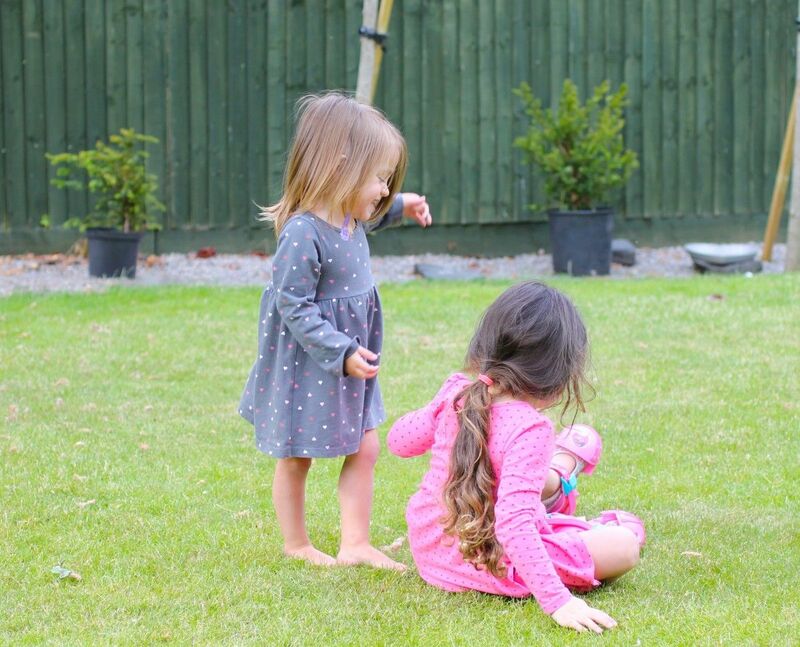 I love your little girls names 🙂 My little lady is starting school in september too, and she seems so grown up all of a sudden too, its scary how fast they develop, but little things like the way she talks to her peers and the way she moves seem much more grown up than now. We also have lots of photos we cant share too, which is a pity because they are the ones with the best smiles!